Blenheim Palace, home to the 11th Duke and Duchess of Marlborough, and the birthplace of Sir Winston Churchill is one of the UKs most famous World Heritage Sites. 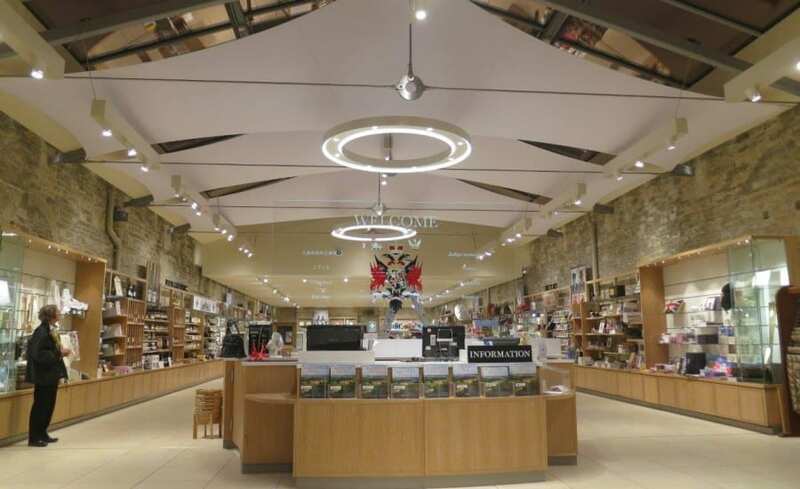 Last year, Blenheim Palace opened a stunning new gift shop in their east courtyard. 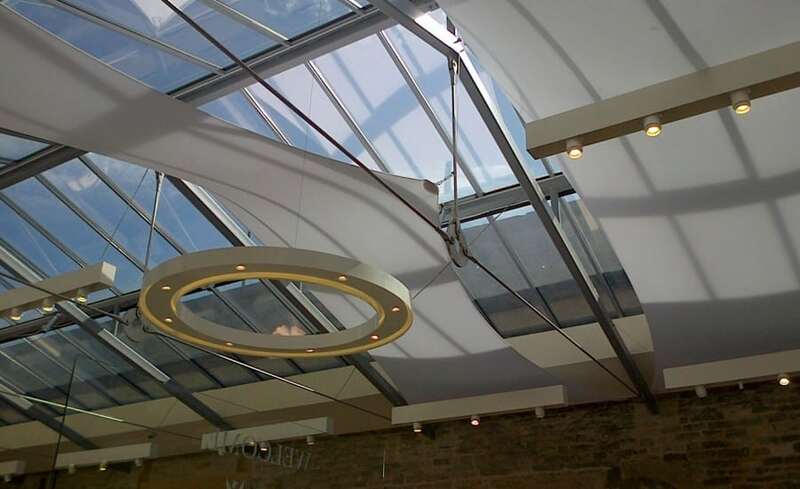 The modern glazed atrium roof, while light, bright and airy, has proved a challenge for the shop this summer because of intense direct sunlight. 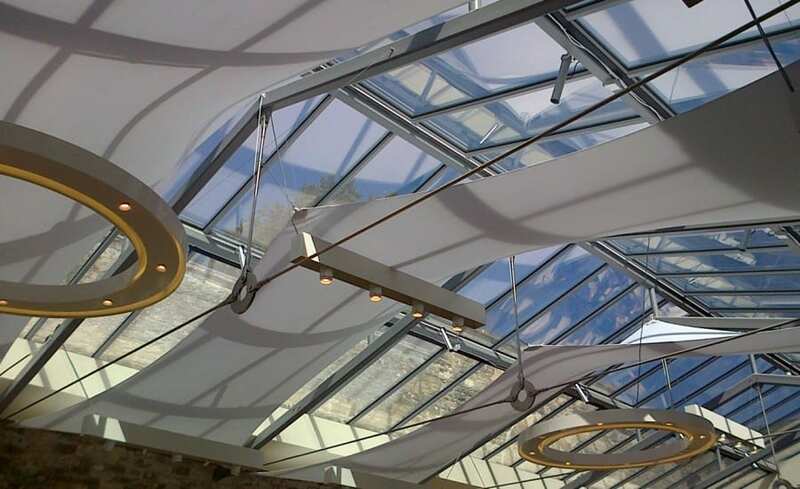 Blenheim Palace approached Architen Landrell to design an interior shade solution to reduce the solar glare, while enhancing the aesthetics of the gift shop. After a site visit and Sun Path Analysis, our team considered the various fabric options and designs and recommended Stretch Fabric. 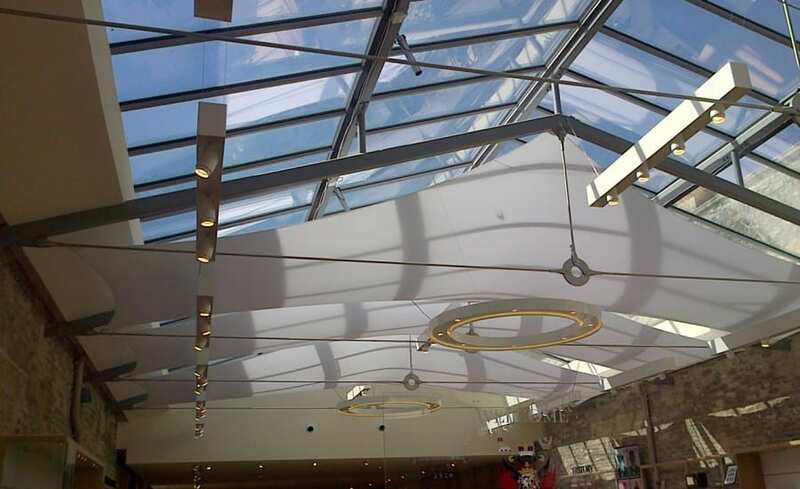 This lightweight polyester fabric can take many shapes and is perfect for ceilings, atriums and solar glare reduction. 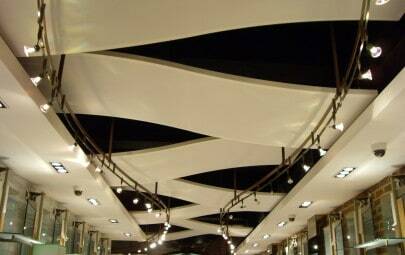 Architen Landrell designed, manufactured and installed three bespoke 10m x 3m sails the width of the shop directly under the glazed ceiling. Each sail is fixed to six different points two on opposing walls and two to steel roof supports at different heights. Part of the requirement was for the sails to be easily removed for cleaning & maintenance and for access to the shops hanging lights and utilities. 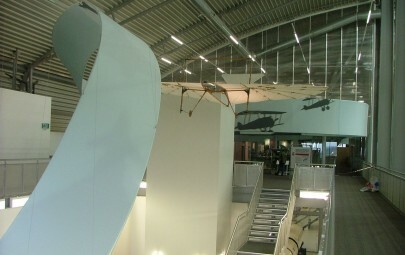 The twin skinned fabric panels are sculptured in design with polyester ropes (used in sailing) inside the boundary edges. The ropes allow Architen Landrell’s Site Operatives to tune the tension in the panels and adjust them in the future if required. 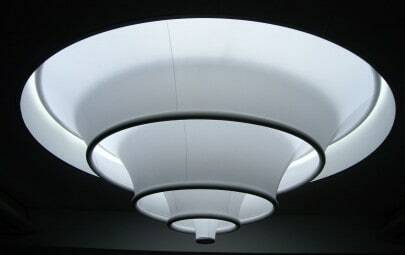 Our design team created stylish bespoke white polycarbonate membrane plates which are affixed to the corners of the sails. Membrane plates lock the structure into place at the anchor points. The high points of each sail were fitted with a unique pulley system. The polyester rope, used to keep the sails under tension, was fed through the pulley and tied off at a lower point. This will allow the client to quickly release and lower the sails for building maintenance. By pulling the rope up, the sails move back into place. The client never has to access fixing points at the high points (6 meters up). 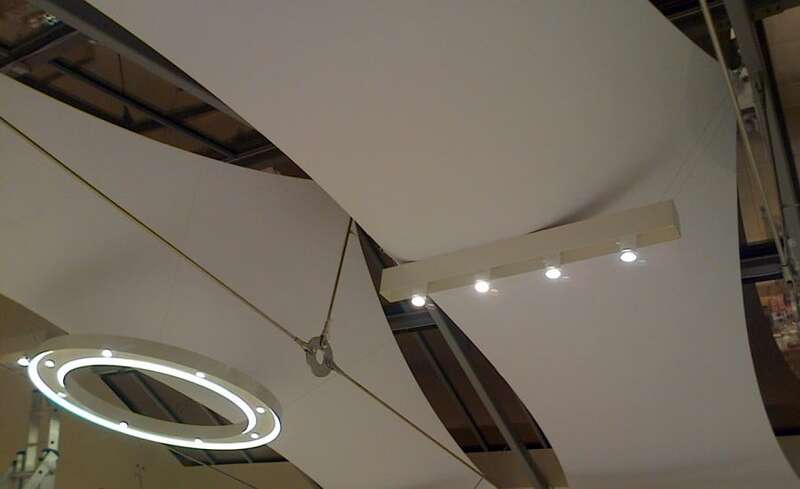 The three fabric shade structures were designed to avoid any clashes with the existing lighting support cables, while still retaining the required shading performance. Each panel is subtly different to achieve the goal. The large sails were lifted into position and then deployed to the six corners like a gigantic web. Once into place, meticulous coordination was required to position them and create the perfect shape with the exact amount of tension to each boundary edge. The sails look beautiful both day and night. At night, they reflect light. During the day, they reduce the glare from the glazed roof and remarkably keep the space cooler. The white Stretch Fabric softens the space and looks excellent. Blenheim Palace was more than pleased with the results and we appreciated the opportunity to install in such a prestigious and famous venue. Special thanks to design company Lustedgreen who we worked in conjunction with on this project.